Click on Limited Edition Prints page to order yours today! 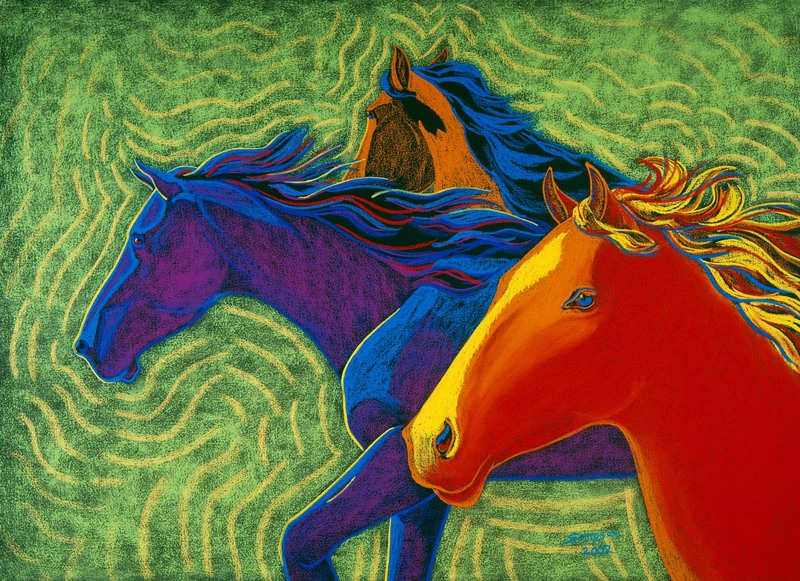 Cynthia's pure bold use of color allows her animal images to vibrate on the canvas. of the individual animals she has had the pleasure of experiencing. Cynthia has always loved bright bold color. As a child she used combinations of crayons, markers and ink with color opposites to create yellow and purple tigers chasing rainbow zebras and make believe animals. Her parents encouraged both Cynthia's creativity and inner vision at an early age, always making sure that she never ran out of art supplies. 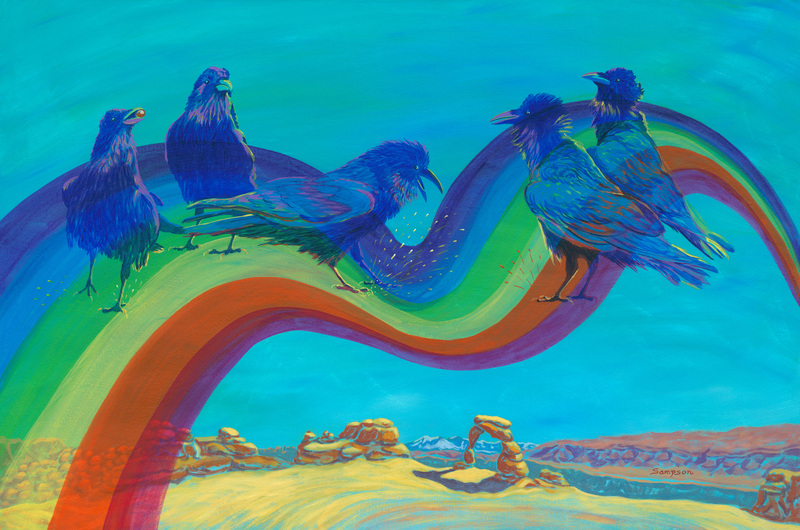 As an adult Cynthia uses knowledge gained from her screen printing and commercial sign background to layer and juxtapose pure color, instead of mixing the colors on her palette the traditional way. She paints with brilliant pastels, acrylic paint and oil paint sticks on black paper or colored canvas to produce animal images that pop and vibrate on the canvas.